Irwell is one of the most trusted names in tapware. Contemporary in style, Irwell mixer taps and three-piece taps feature stunning chrome finishes and water-conserving features at an affordable price. When you buy an Irwell product for your bathroom or kitchen, you know you’ll have quality tapware for years to come. 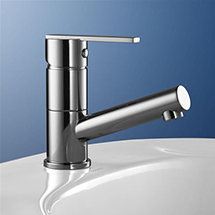 Made to the rigorous Australian Standards, Irwell’s broad range of tapware products encompass versatility, style and value.